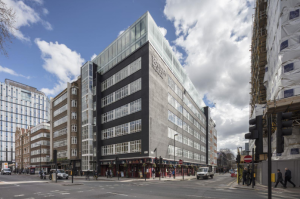 Bentima House is a landmark building providing newly developed penthouse office floors available for rent in the heart of Old Street. The property is located only moments away from Old Street Roundabout (also known as Silicon Roundabout) with access to Old Street station and Whitecross street market. Barbican, Moorgate and Liverpool Street stations are also all within easy walking distance. The immediate surrounds have seen a huge amount of change over the years with a plethora of amenities to include restaurants, bars, cafés and shops lining the surrounding streets. 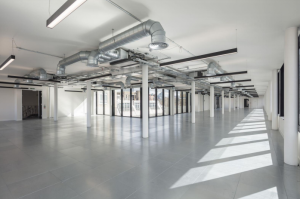 The property is also only moments away from two campus sites; The Bower & The White Collar Factory, which both provide an extensive public offering at ground floor level. Internally, the top floors of the building have been redeveloped to provide a Cat A refurbished 5th floor along with two brand new floors added to the building. The Cat A refurbishment includes fully accessible raised flooring, brand new modern suspended lighting, exposed galvanised comfort cooling system along with floor to ceiling glazing spanning all elevations providing sensational panoramic views across London. This entry was posted in Medium Office Space, Shoreditch Offices to Rent by Maya. Bookmark the permalink.